Amazingly, it's the end of October and blackberry season continues in northern California. Although they're not as sweet as in mid-summer. What to do? When life hands you somewhat tart berries, make berry-filled pocket pies! This recipe produces delicious homemade-style "pop tarts" or pocket pies, tartlelettes-chausson aux mûres in French. Blend the dough ingredients as you would a typical tart dough and chill for at least one hour. 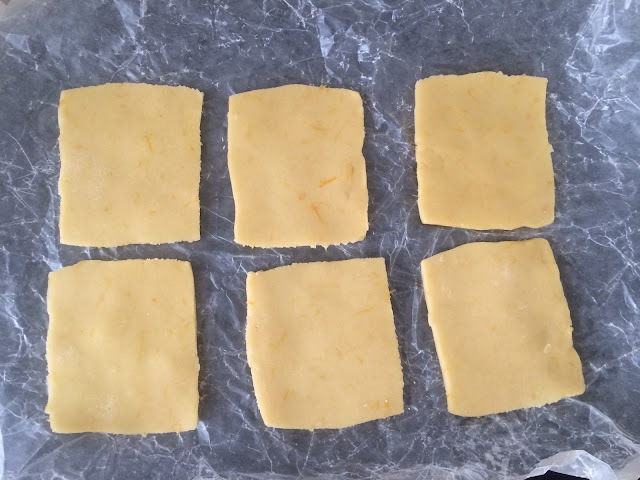 Roll out the dough and cut it into 2 1/2" x 3" rectangles. You can also cut the dough into circles. In this case, you do not need to use two layers of dough for each pot pie. 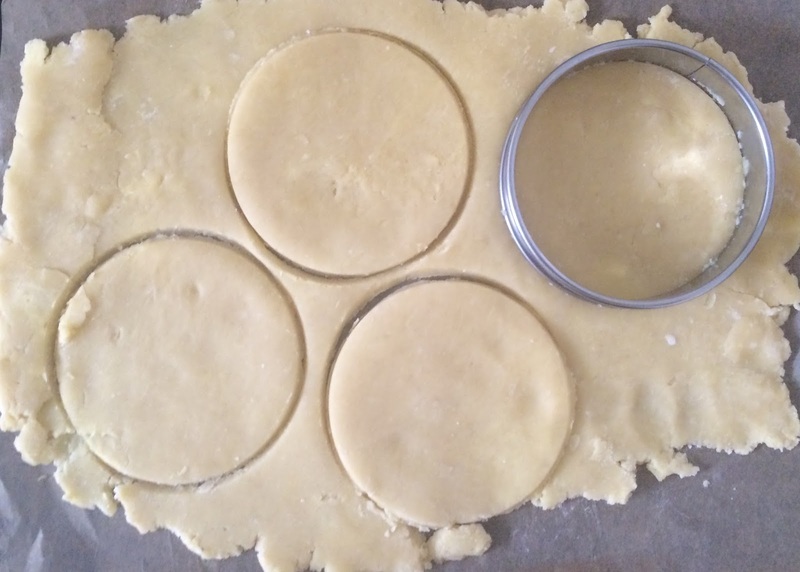 Instead simply fold each circle in half and seal one end to create turnovers (see last photo for the finished result using this method). Alternative option: Cut the dough out in circles. 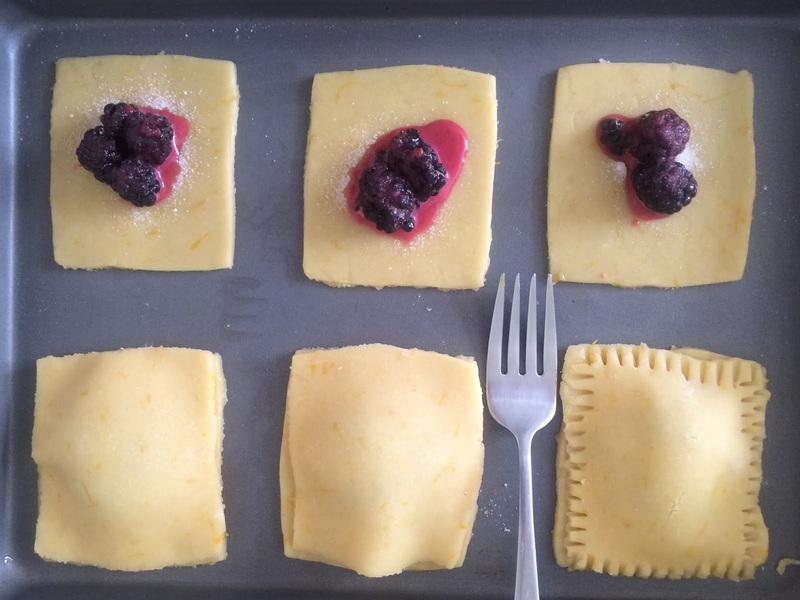 After mixing the berry filling, place one very small spoonful on each rectangle of dough. Then cover each rectangle with another rectangle of dough and press the edges together. Seal the edges with the tongs of a fork. 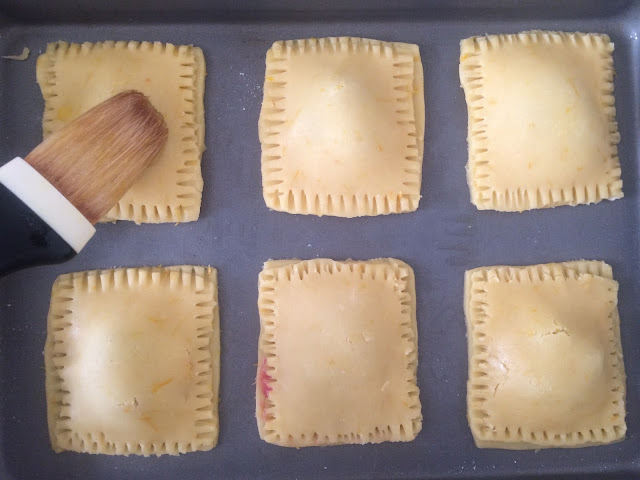 Once you have covered and sealed all of the pocket pies, use a pastry brush to brush with egg wash (one egg mixed with a pinch of salt and sugar). Bake at 350 degrees Fahrenheit for about 15 minutes or until the crust is golden brown. This turnover-style pocket pie was made using the method of circular dough, folded in half and sealed on one side. Blackberry pocket pies are perfect for breakfast, an afternoon snack or for picnics. Enjoy! Copyright © 2015, Lisa Alexander. All rights reserved.